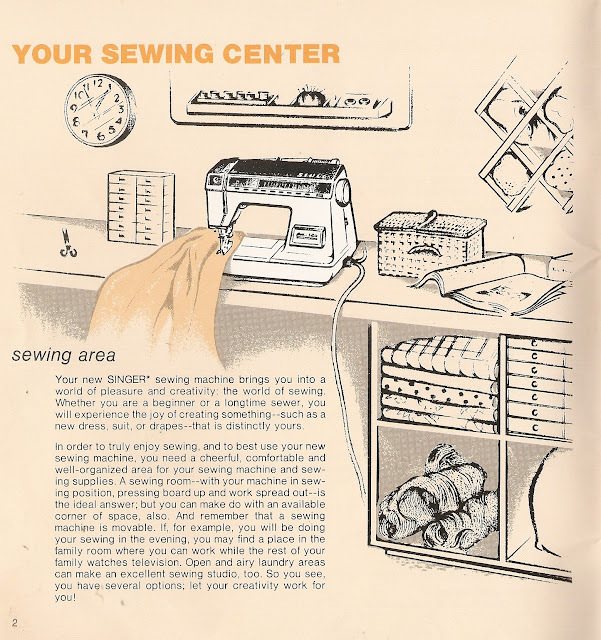 The beginning section of my new (used) Athena 2000 Singer Sewing Machine Manual contains this very cheery page on Sewing Room Layout. I looked at this very sweet picture and Yes, I could certainly see the point. It would be much more enjoyable to sew when one is not surrounded by stacks of papers, decisions awaiting completion and stuff I just don't know what to do with. Not just sew, but just about anything would be more pleasant than the state of my studio. So, all projects (or lack thereof) have come to a temporary halt. I'm dividing it all down .... keep & put away, give away, throw away. I'm dispensing with the stacks. Shouldn't take more than two days !